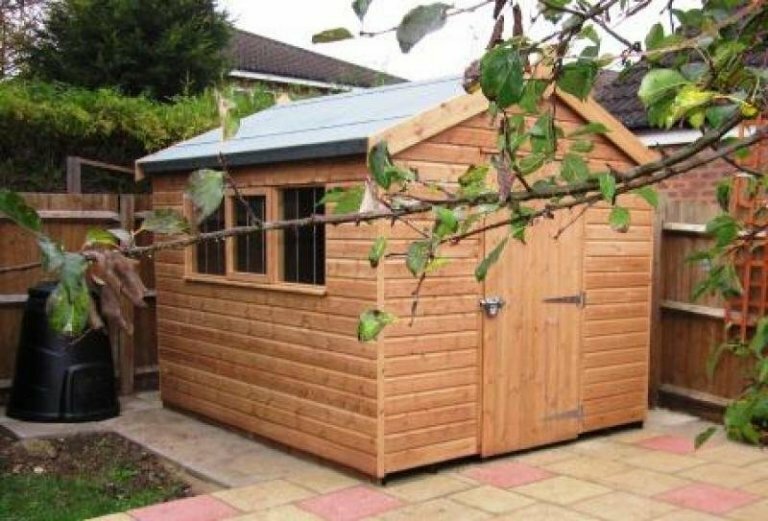 This Superior Shed is one of our broader range of garden sheds, each of which have free delivery and installation included as standard. The exterior tongue and groove shiplap cladding was finished in light oak preservative, combined with heavy duty roofing felt with an opening window for added ventilation. 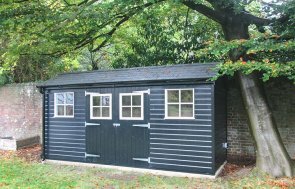 Each of our garden sheds offer something unique in terms of style, size, and design features. 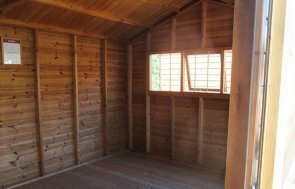 So whether you want a storage shed, a secure workshop, year-round cabin, or hobby room, we can help design the best garden shed for your outdoor living space. 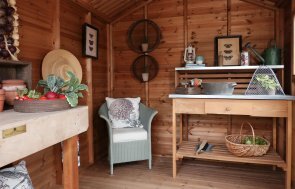 Handmade to order in our Norfolk based factory, each custom built shed is made from sustainably sourced FSC® certified Scandinavian Redwood and is delivered and installed by our expert team. View our complete range of summerhouses, garden studios, garden rooms, timber garages or our range of hand-crafted Victoria greenhouses. If you would like to experience our range of garden buildings for yourself, our Nottinghamshire Showsite features a range of approximately 25 different size garden buildings. Alternatively, should you prefer to speak to someone directly, please request a callback, Contact Us or call us on 01760 444229 and one of our friendly team will be more than happy to talk through your requirements directly.